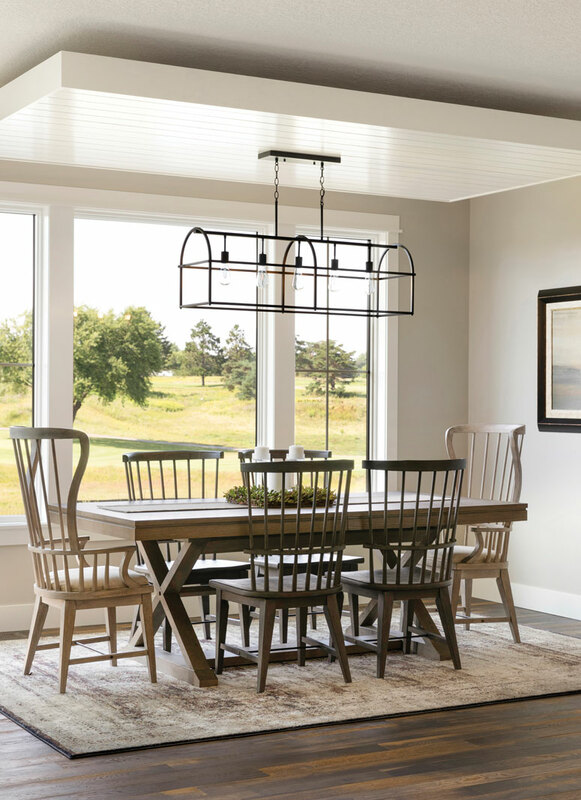 From the initial steps inside the foyer with its wainscoted walls, barrel vault ceiling, and hand-blown glass light fixture, this luxury cottage is brimming with character and upscale details. 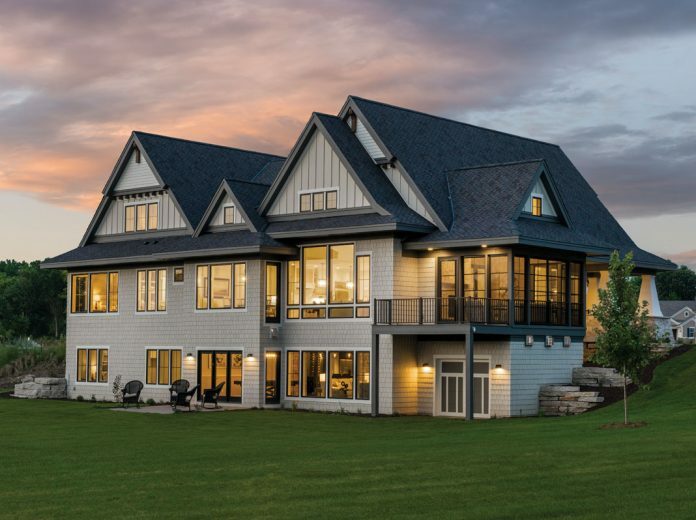 Perched on the perimeter of The Royal Club, an Arnold Palmer and Annika Sorenstam-designed championship golf course, the location only adds to the home’s overall appeal. 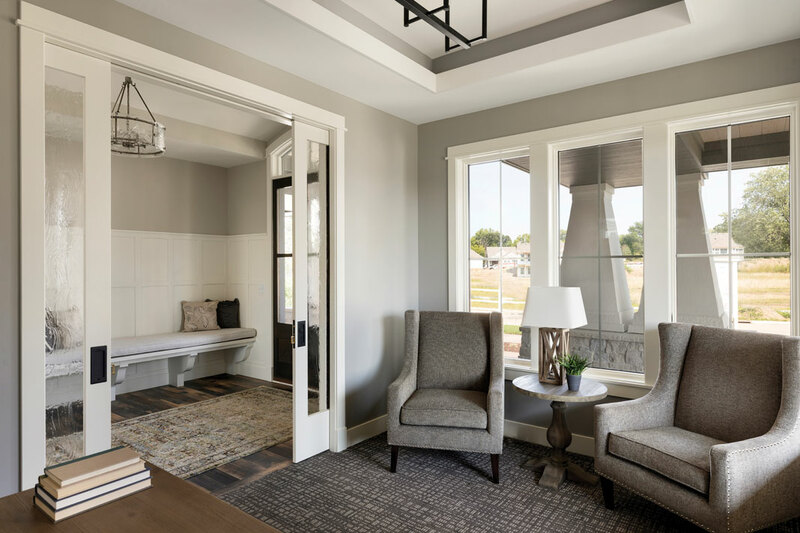 Hartman Homes has added plenty of charm to the four-bedroom, five-bathroom home with more than 5,358 finished square feet by putting the focus on stunning ceilings, creative lighting, large windows offering plenty of serene views of the golf course, and even a couple surprises. 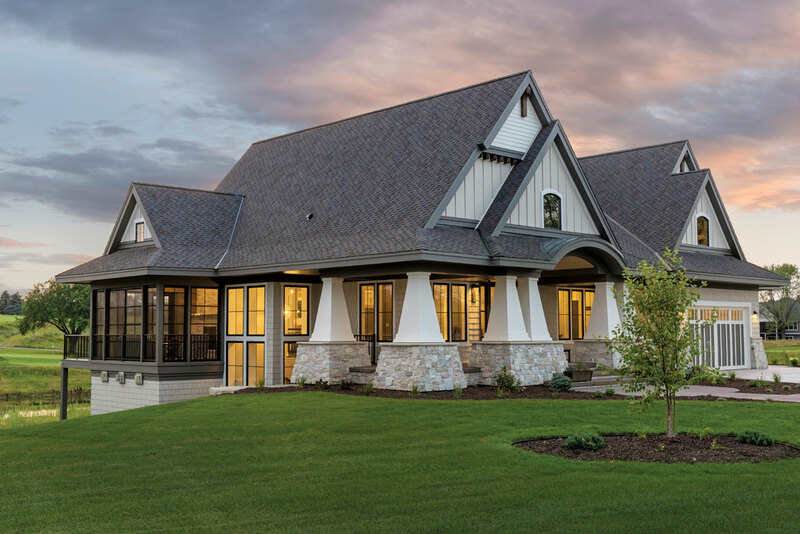 The custom home building group enlisted architectural designer Tom Anitzberger to work on the home. 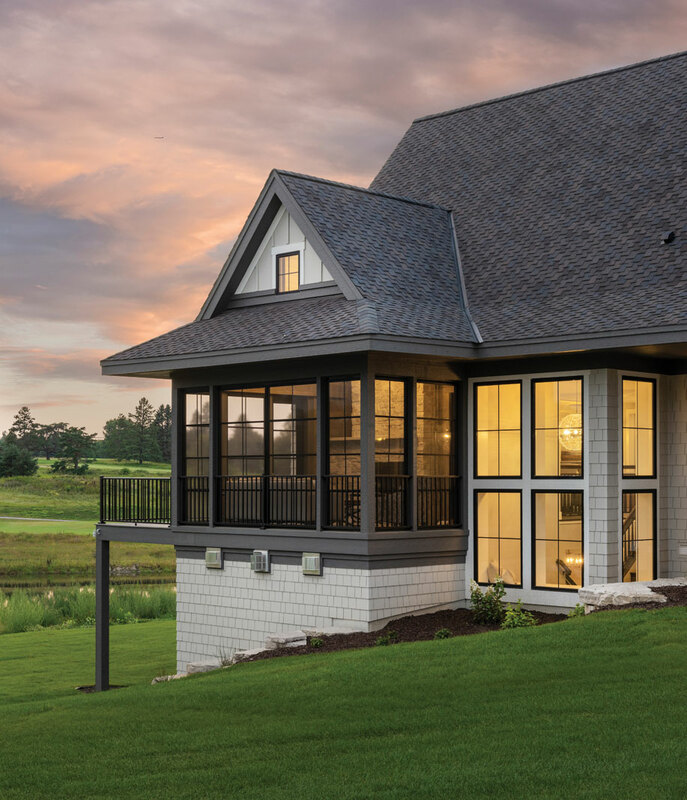 Hartman Homes’ president Mike Hartman says the home’s prime golf course location and the talents of his interior designer, Julie Speer, make this modern cottage stand out among other homes. 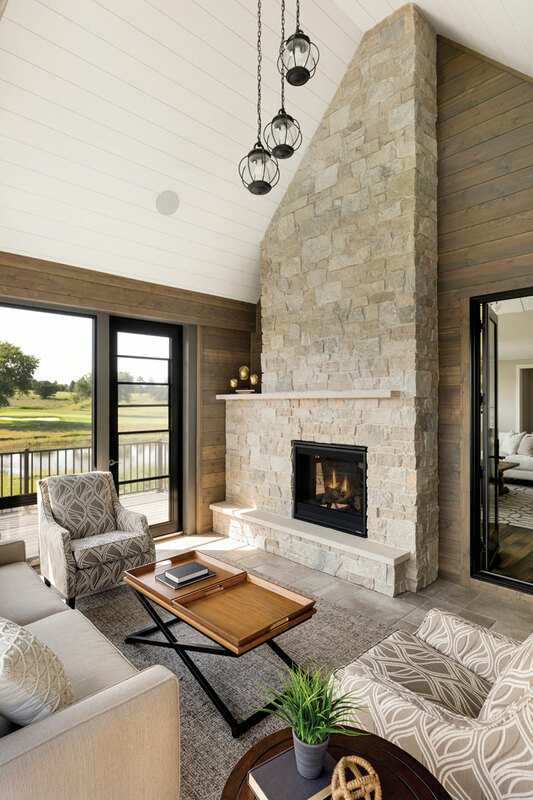 An open concept first-floor living space features wire-brushed white oak floors, built-in entertainment center, stone fireplace and tray vault ceiling decked out in shiplap details, and a cascading, chandelier-style light fixture. In the adjacent dining room, a reverse soffit ceiling with rope lighting defines the space. 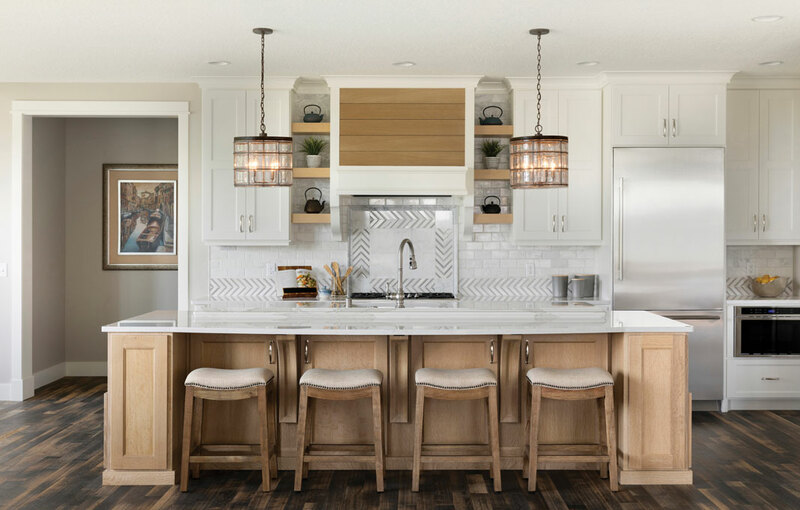 The kitchen features cerused oak and painted cabinetry, an 11.5-foot-wide island, quartz countertops, and marble backsplash. In the spacious pantry, there’s a handy pass-through to the three-car garage—bringing in groceries has never been easier. 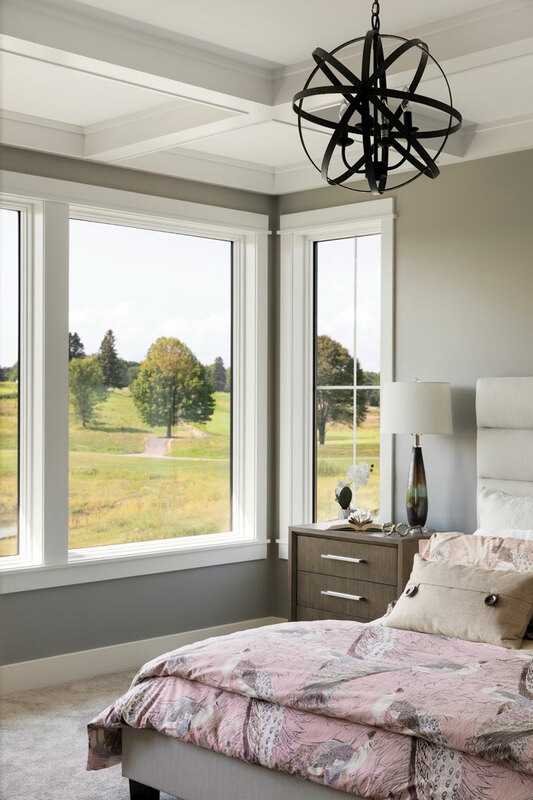 The main floor master bedroom has a coffered ceiling and spacious walk-in closet leading to the laundry room. 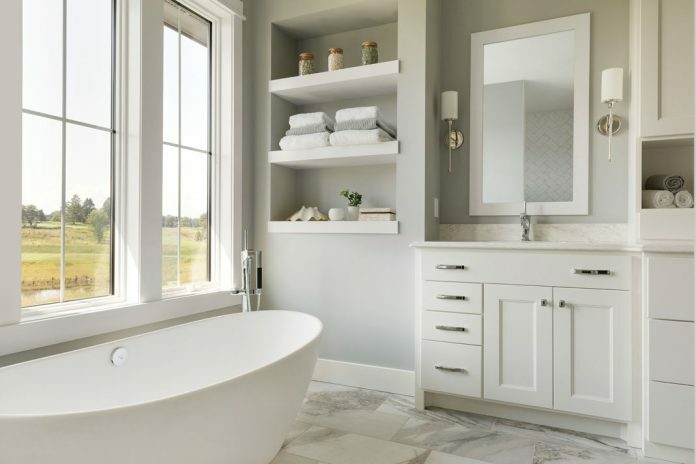 The master bath has everything you’d expect in a luxury home including a soaking tub, ceramic tiled floors, and a beautifully tiled travertine shower. 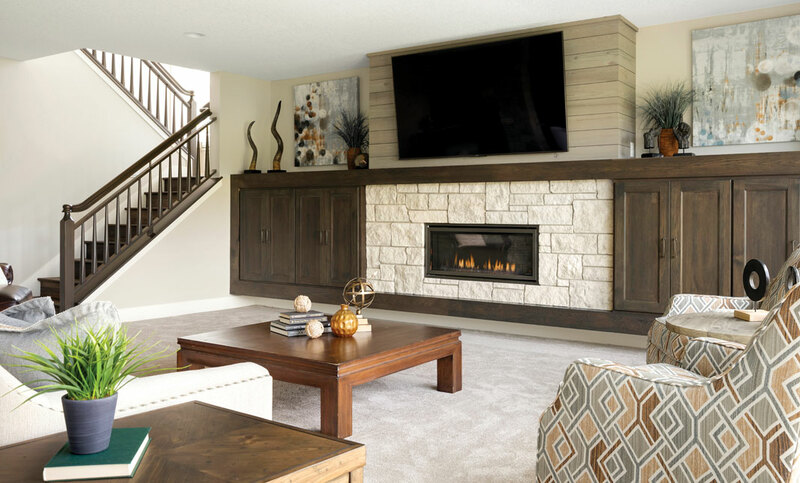 Off the kitchen, a staircase leads to a large bonus space perfect for an exercise room or art studio, complete with a bathroom and additional storage space. 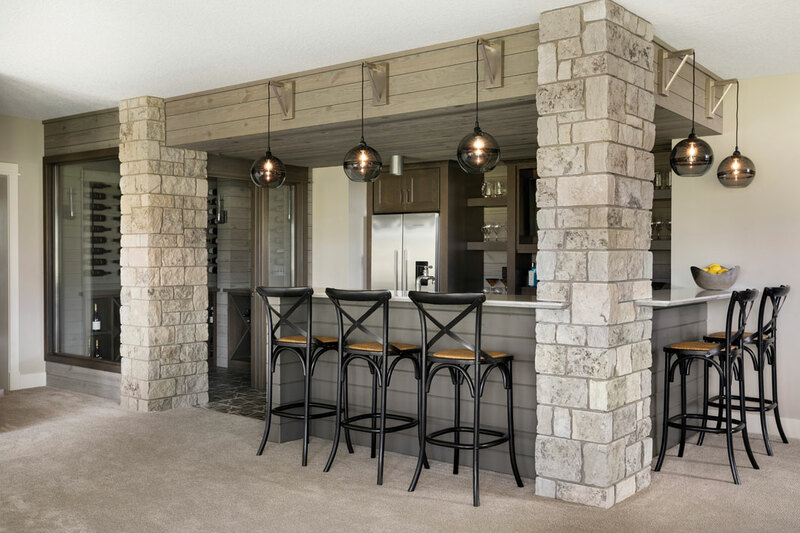 The lower-level family and game area boasts a stone fireplace, built-in cabinets, wine cellar, and sauna. While the overall house is impressive, its hidden gem is a three-season porch off the great room with vaulted shiplap ceiling, a grand stone fireplace, and side deck perfect for grilling. Bonus: There’s even a garage under the porch to park your golf cart. • Marketplace Home Mortgage, L.L.C.